There’s a new science story making the rounds about life originating on Mars and coming to Earth. What I want talk about today is not this theory but the general attitude of Americans towards scientific endeavor. The article spawned a number of comments I’ve found typical whenever there is a science story in the news. I’ll post a few here. I would say they are pretty standard. There is a lot of science hate out there and I think there is a reason for it. Today I will talk about why that is and how I think it can be, rather easily, solved. Since the beginning of what was called global warming and is now called climate change I’ve seen what appears to be a radical alteration in American’s attitude towards science. It is not only climate change but science and scientists in general. This negative attitude towards science is, in my opinion, a tremendous danger to our nation. The U.S. preeminence in scientific endeavors was probably always overstated but did reach its peak during World War II when many of the greatest minds of Europe and Asia fled to the U.S. They came here to avoid totalitarian regimes who squashed scientific conclusions with which the state did not agree. A notable lesson there. My Republican friends will think I’m picking on them with this post and they will be right. I’m largely not talking to Democrats and I’m largely not talking to medium to low IQ readers. I’m talking to highly intelligent Republicans. There are many of them and I’m friends with quite a few. Being against climate change is something the Republican party has invested in. It’s great to be against something but they have promulgated the idea that scientists are largely on the take for government grants and change results to meet expected ideology. Republicans largely insist that scientists are just “guess makers” who don’t know anything at all. When a scientific theory is proven wrong Republicans attack science, in general, as always being wrong. Republicans promote what was never a generally accepted theory as being stated as absolute fact. I cannot tell you how often in the comments sections I read, “All the scientists told us there would be an ice age”, “The scientists said there could never be life at hydro-thermal vents in the ocean.” A few scientists said these things and upon peer-reviewed evidence based investigation most scientists determined these predictions inaccurate. And yet in many people’s minds those ideas were promulgated by the majority of scientists. They use it to justify not believing anything a scientist says unless it meets their ideological standards. This attitude against science is gaining momentum and largely because Republicans leaders and pundits perceive that it will help their party in future elections. My friends, my intelligent Republican friends, I want you to imagine something. Imagine the rest of the world has cheap, renewable, abundant energy and the United States is still burning oil and coal and spending our wealth procuring these things. Imagine if because of stem-cell research the rest of the world produces healthy, long-living people and the United States does not. Imagine if the rest of the world starts to pull down meteors with vast amounts of rare and valuable elements and the United States is left out. I’m not speaking of those three scientific endeavors specifically, I’m speaking about scientific advancement as a whole and using them as examples. It’s great to look for evidence that climate change is not caused by human action. It’s great to try to find medical breakthroughs without using stem cells. It’s reasonable to argue that money should be spent in places beside NASA. But, if the facts indicate otherwise, it’s not acceptable to denigrate science because it doesn’t meet with your ideology. To do so is to, and I can’t make this any clearer, hasten the destruction of this great nation. I don’t ask you to imagine this next thing. I simply ask you to look around. Who has faster internet connections than Americans? Who has more fuel-efficient cars? Faster trains? Better cameras? Cheaper and higher capacity USB drives? Who derives more energy from solar power, wind power? Nations without our natural resources, without our population to draw upon for scientists. Who has the Large Hadron Collider and who has an unfinished pile of junk? This is in your hands my intelligent Republican friends. You can sway the opinion of those around you. Other people look up to you, they respect you and your opinion. Imagine a United States where science is reviled and scientists persecuted. Imagine our position in the world. Do you want to live there? 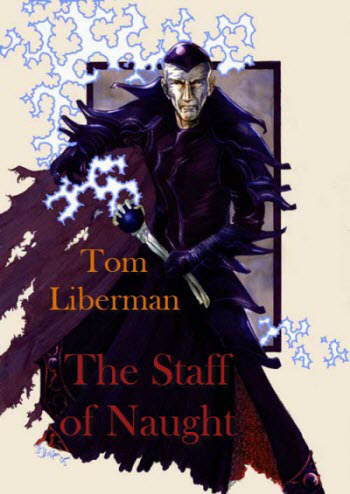 Anyone who follows my blog with any regularity knows to what nerd depths I can plumb. I saw a headline about one human sending an electrical brain signal to another. I figured it was probably misleading. Once I finished reading the story, particularly the last few paragraphs, my fears were confirmed. The story is that a researcher sent an electrical signal from their thoughts to a device that captured the signal, broadcast it a distances over a network to a colleague wearing another device, and caused the arm of the second person to move. Wow, a person might say. Amazing! Imagine if people can control each other with the merest thought. Conspiracy theorist to the front of the line! It’s not amazing. It’s mundane. Scientists have long known that electrical signals from the brain cause muscles to move. They’ve studied such signals at great length and by mimicking them have performed a number of experiments even being able to understand rudimentary thoughts based on brain activity. Once the story gets past its sensational headline the article fairly quickly starts to reveal why this is not a big deal. It states that much work has been done to help paralyzed patients move their own limbs using similar methods. Animal thoughts have been transmitted to other animals who mimicked behavior. Human thoughts have been used to send electrical signal to artificial limbs and make them move as desired. What we have here is simply the appropriate electrical current being applied to force a movement. It’s not a breakthrough, it’s not very impressive. However, there is something much worse about this particular case. Because it’s not a breakthrough, because no one independently verified the experiment; the designers didn’t try to publish the results in a scientific journal. They didn’t subject themselves peer review. They went straight to video on the university website. This is the kind of thing that gives science a bad name. The top researchers in the field were “uneasy” with the announcement. Uneasy? How about pissed off? That’s not how science must work. 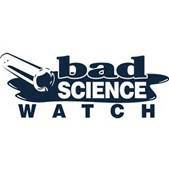 Unfortunately splashy releases of unconfirmed science gets noticed by the public and quickly promulgates through the media to a wider audience. This is the strategy of the talking heads on the news/opinion shows and of politicians. This is dangerous and I spoke about why in my post about how lies in the research of stem cells are still causing damage years after they were told. Many might remember a South Korean scientist who went through much more elaborate deception to get publicity about human cloning. Real scientists, the people who performed this experiment are actually scientists, must restrain themselves from such skulduggery. The integrity of science is daily questioned by those wishing to discredit it. Let’s not give the naysayers ammunition. When we as a people don’t believe in science anymore, this nation of ours is in serious jeopardy. There was an interesting story this morning in the news about how several software development projects for the government burned through billions of dollars and produced no results. Basically the Department of Defense and the Department of Veterans Affairs wanted to create a single system to keep track of their healthcare records. The reason for the need to make this sort of unified system is that currently dozens of pieces of software don’t communicate with one another and this leads to long delays for veterans seeking medical care. When you need medical care a long delay is not merely a nuisance, it can be a life-threatening issue. I work for a company that does software development and I wanted to talk to a few of our developers before I wrote this blog. I thought that it couldn’t be that hard to create a database driven tool. Certainly, I imagined, scanning in all the old paper records would be quite time-consuming and cost much in the way of salary for the people doing it, but the software itself couldn’t be that complex. I was sort of right. The complexity of such software is immense because they are trying to replace dozens of different systems, all with their own record retention quirks. Transferring the existing records requires tremendous attention to detail. In addition the ability of the systems to sort through perhaps hundreds of billions of records is apparently no easy trick for any software. We work with one client who has an enormous amount of data and their aging database system can take five minutes to retrieve a piece of information. If you take five minutes of computer time and then imagine every single vet making a claim at that moment; it’s easy to see how it would quickly cause a system to collapse. That being said, the developers I spoke with said the problem was most likely the government took the bid from the wrong company. That a software developer used to working with massive amounts of data probably made a realistic bid on how long it was going to take and how much money would be needed. They were likely underbid by a company that did not understand the complexity of what was involved, and offered a low bid. I don’t know for a fact that this is what happened but it certainly seems likely as the software was eventually completely scrapped. Money was spent and nothing was gained. Now they will either have to rebid the entire project or simply give up because there isn’t money in the budget to complete the task. This means that veterans waiting for adjudication on their claims will continue to wait, the wait will get progressively get longer, and the chance for errors progressively higher. I’ve written before about how the low-bid system is extremely detrimental to honest companies who simply try to provide a good product at a fair price. I’ve mentioned before that bribery in the bidding process is rampant both from government workers and the contractors hoping to get the bid. A company makes an artificially low bid, collects billions and provides nothing, declares bankruptcy, the executives cash their checks and move on, taxpayers foot the bill, while congressmen buy a new house with the kickback money. The government is so large that billions of dollars are stolen without a second thought. The money is so immense as to make even an honorable person compromise his principles. What would you do for a billion dollars? Be honest. The simple, easy solution? There isn’t one, despite what most pundits say. In my newest novel the companions are contemplating an immense task and are advised by General Yumanar; Those who attempt to move a mountain will always fail. Those who start by lifting a single rock eventually succeed. And thus I write my blog, my novels. There’s a breaking story in the news today about an athlete accused of robbery. What I want to talk about is not the accusation or the athlete but the assumption of guilt that seems to come along with any accusation. 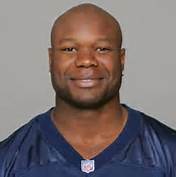 Apparently Keith Bulluck, a former running back with the Tennessee Titans, was out in the early hours of the morning and got into an altercation with a cab driver. The cab driver claimed Bullock robbed him of $100. He called the police, led them to wear Bullock was still with friends, and identified him as the thief. Bullock was arrested and posted bond. Bullock claims he paid for a ride but the driver refused to give services and Bullock took the money back. What I want to discuss is the tone of the comments section. I consider myself a veteran of comment sections and I think I’m pretty good at spotting trolls. These are comments designed to inflame passionate response. There were a number of these that were blatantly racist but they are not my focus today. There were also a lot of comments by seemingly rational people talking about another broke athlete. Another thug athlete. The word “thug” is essentially code for criminal black person. Those people assumed him guilty and said so in unabashed terms. While there was a racial element to some of those accusations I wouldn’t say they were predominant. The racial comments were largely trolls. There were an equal number of comments defending Bullock, primarily made by people from Tennessee where he played his pro career and New York; he played college ball at Syracuse. Most of them were very skeptical of the accusations because of Bullock’s history as a stand-up guy. What I found most interesting was not necessarily that there were those who immediately attacked Bullock and those that defended him, but the clear delineation of the comments. Those who had bad things to say almost universally assumed guilt. Those who had good things to say suggested waiting until the story was more fully revealed. They expressed skepticism and wanted to know more. That’s what I found interesting. Those calling for immediate justice were largely uninterested in further facts. Those skeptical of the event wanted more information before they were willing to pass judgment. I find this desire for more information, this unwillingness to make a final statement, a sign of intelligence. That people who are smart tend to wait before coming to a conclusion. That people who are not smart immediately know they are right and say so without hesitation. My friend Eric, a very intelligent fellow, once described it as a curious mind. This desire for facts, for more information. My point today is that we often give credence to those who say things with absolute certainty. Those who yell out their opinions both loudly and repeatedly. I would suggest we listen to those who are less certain. Those willing to withhold judgment. Those seeking more facts, those who examine the other side of the story with an open mind. We might find our world becomes a better place. Oh, by the way, it turns out the cab driver has made such an accusation before. Has been accused of running a little scam where he takes money from prospective fares and refuses to drive them places claiming he never took any money. I’m willing to wait until the police finish their investigation to make a final judgment. How about you? There was an incident in the baseball game between the Atlanta Braves and my beloved St. Louis Cardinals last night that got me thinking. 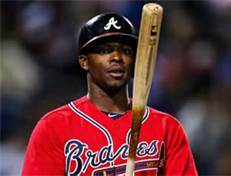 A player for the Braves, Justin Upton, was ejected, supposedly for arguing. Upton says he was merely mad at himself for grounding out and cursed. This sort of incident happened earlier in the season to Yadier Molina when he was called out on a close play at first base and slammed his helmet into the ground. He was frustrated that he didn’t run harder out of the batter’s box, he is a catcher and nursing sore knees, but the umpire saw it differently and ejected Molina. When I sat down to write this blog post I was going to call out overly sensitive officials for ejecting players and altering the course of the game unnecessarily. The more I thought about it, the more I thought about the rules I played under as a young boy. I began to realize there is a better solution. Stop throwing your equipment, cursing, and being disrespectful in general. When I played sports as a kid, if you abused a piece of equipment the coach would put you on the bench. If you said anything argumentative to an official you’d be ejected from the game. Those days are sadly over. I’m not saying that official don’t make mistakes and I’m certainly on record saying that I think some outright cheat. I’m not saying that those who make mistakes, those who cheat, those who lie, shouldn’t be called out. I’m just saying let’s try to do it with some decency. I am saying it would be great if players acted like gentlemen and ladies. This screaming and yelling at every perceived slight, this flopping to gain an advantage, this boorish behavior is something that pervades sports, media, comment sections, essentially society itself. This rudeness is everywhere, not just sports, and certainly characterizes political debate. Everyone thinks its okay to call someone they don’t like an “idiot!” A “moron!” A “Repukelican!” A “Libtard!” This lack of decency, of simple manners, hurts cooperation, hurts society, hurts our (yes, our) nation. We have become a rude, nasty lot. We will say horrible things about other people and words hurt. When our actions show a complete disregard for civility, for kindness, for tolerance, then we simply encourage the worst sort of people to take things even further. When the best of us, the role-models, cannot restrain ourselves the worst are emboldened. Back to the topic at hand, a ballplayer thrown out for cursing at himself. It wouldn’t have happened if all baseball players were ejected at the first curse word, at the first disrespectful action towards an umpire. I’m not just haranguing ball players here. Fire the umpire that shows disrespect to a player. I don’t think what I’m suggesting will happen because of money. If John McEnroe yells something at an umpire during the finals of Wimbledon and the match is declared over that will cost people a lot of money. If Tiger Woods curses after a bad shot and is escorted from the course that will cost sponsors a lot of money. That being said, if there are strictly enforced rules, the athletes and officials will eventually learn to follow them. It might be a little painful at the start but I think we’d all be better off. And before you like this post and tell me how right I am, examine your own life, your own actions. You’re a role-model for someone out there. Act like it. The state of Texas has a law that allows only franchised dealers to sell automobiles. The idea is that only an authorized franchise store of Ford, or Chevy, or Toyota is allowed to sell cars. The Texas Automobile Dealers Association convinced the legislature to ban the sale of Tesla cars because the company sells directly to buyers instead of through a licensed franchise. He goes on to say this would hurt consumers because franchise dealers compete with each other to keep prices down and they serve customers in rural communities. So, competition is good, just not competition from anyone who isn’t from Texas? Anyone who doesn’t want to pay franchise fees? Someone who simply want to sell their product to people who want to buy their product? How dare they? Do they think they’re capitalists or something? I’ve got news for consumers. Competition is good for everyone. This law is protectionism at the expense of consumers. The success of Texas in banning sales of Tesla’s is spreading. Other auto dealers are gearing up the legislatures in their states to do the same thing. I’m no giant fan of the Tesla. It’s got some issue but if the people in Texas want to buy the thing, the government should not stand in their way. Government has specific and useful functions and one of them is not pandering towards one business over another. 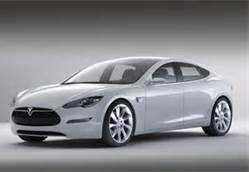 If the Tesla is to fail, then let it fail on its own shortcomings. I write post after post after post about this subject. 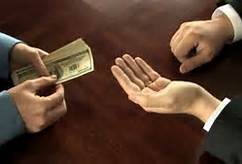 How business owners bribe legislatures into passing laws to destroy competition. What really angers me about this particular brand of crony capitalism is the nasty liberal slant. We’re doing it to help the consumers. That’s the song and dance of the liberals. Trust us, if this nasty businessman gets his way you’ll end up being the one hurt. I’m used to such nonsense from liberals but I suppose I should have grown accustomed to hearing it from republicans by now. They don’t believe in free enterprise and capitalism any more than a liberal democrat, if they ever did. The government has a role in our nation. If the Tesla was poorly designed and exploded on contact, then the government has some duty to protect its citizens. Even then I don’t think they should be able to ban the sale completely. They can offer consumer guidelines and warning. That’s not the case here. The Tesla is apparently a very safe car although perhaps not as safe as their marketing department would like you to believe. Texas politicians are looking at legislation that would make a narrow exception for the Tesla but the entire law is clearly designed to stifle competition in favor of local dealers. I’ll leave it to you to figure out why the politicians decided to pass laws favoring locals. I’ve got nothing against local businesses. It’s great when they succeed but when government gives them an unfair advantage it hurts consumers. If Tesla sells a lot of cars then it forces those local Texas dealers to compete. Some of them might lose the competition and go out of business. Those that survive will be the best dealers in the state. That’s the nature of the free market. Companies that provide a good product at a price point people want, survive. Propping up a business that can’t compete or passing legislation that favors one company over another is Crony Capitalism. It’s rampant. Democrat? Republican? What’s the difference? There are a lot of statistics about small businesses in the United States and the majority of them are designed to mislead. Small business in America is on the decline and has been for decades. This is because it’s under assault from very large, or Enterprise, businesses and their allies, the politicians of both parties. 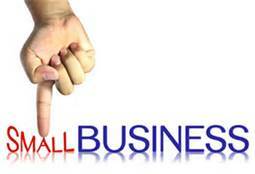 One misleading statistic you will see is that small businesses make up 97% of all businesses in the United States. This number relies on what are called Non-Employer businesses. Those companies that generally have one self-employed person and no payroll. They make up about 75% of all businesses but only contribute 3.4% of business receipts and are essentially a non-factor in the health of the economy. Small business advocates will spew out this 97% and claim it is the backbone of our economy. It is not. The definition of a small business is somewhat dependent on receipts and type of business but is generally defined as having less than 250 employees. However, the breakdown by the government creates a group of 100-499. I’ll go with two sets of numbers. As of 2008 small businesses that employ less than 100 people account for about 35% of the total workers in the US. If we use the 499 or less standard that number rises to 49.4% of the total employees. Let’s split the difference and call it 42%. The important difference is receipts and sales, money. As of 2008 out of a total of some six million businesses there were over 3.5 million very small businesses with sales or receipts totaling $670 billion. There were 20,500 enterprise businesses generating $20.3 trillion dollars in sales or receipts out of a total of some $29 trillion. If we compare those enterprise companies, those with $100 million or more in sales or receipts, to all the rest we find that .34% of the total number of businesses generated 68% of the wealth. The other 99.66% of businesses contributed 32% of the wealth. I repeat, those 20,500 enterprise businesses represent .34% percent of the total number of employer businesses in the United States, some six million businesses in all, and yet accounted for 68% of all sales receipts. In 1997, as far back as I can find numbers, enterprise businesses accounted for .29% of all businesses and 59% of total receipts. Therefore in that sixteen year period enterprise businesses gained 9% of total U.S. sales and receipts at the expense of small and medium-sized businesses. I think we’re all aware that money influences politics, money gets a politician elected, and politicians pass legislation to help those who fund their campaigns. With that in mind, examine from where the money comes. It’s not small businesses. Therefore the trend makes sense. The tax code is heavily biased towards large businesses. The business tax rate is 35% but the real tax rate, that which is actually paid, is 11%. When you factor in that many large businesses pay almost no taxes it is clear that small and medium-sized businesses are the ones paying that 35%, and it’s killing them. For my friends who vote Republican because they are supposedly small business friendly I have but a single question. Why would any enterprise business want to change the current tax system? For my friends who vote Democrat because they are supposedly worker friendly; when taxes are raised it only hurts the small businesses who want to provide a decent product and employ people at a decent wage. Enterprise businesses are immune because of their political connections in both parties. The current system is stacked against small businesses. There are arguments that enterprise businesses bring wealth, cheaper products, more employment, and a better standard of living. This is not erroneous in many respects. I’m not against enterprise business. I’m against a playing field that is unfair. I’m against a Congress that passes laws to help one business at the expense of another. This hurts competition and rots capitalism from the inside. If an enterprise business succeeds without an unfair advantage, more power to them. I love a hard worker with a great idea who gets rich. It helps everyone. My point here is that both parties are bought and sold by those with money and that’s called a Plutocracy. If you choose to vote for Republicans or Democrats that’s your business. Just don’t be fooled by their words. Look at the metrics. The appearance of impropriety is when something looks wrong even though there is no proof of wrong-doing. A story I read in the back pages made me start to think about this phrase. The story I read was about how U.S. lawmakers are once again taking family vacations, er fact-finding missions, all over the world as guests of generous lobbyists. This practice was curtailed in 2006 after the Jack Abramoff scandal. By curtailed I mean lobbyists could only pay for trips that lasted one week instead of two-weeks out of the country and four days instead of one week inside the U.S.
We must remember that politicians are largely funded by special interest groups and the lobbyist they have on staff. Politicians cannot win the primary or general elections without such support. Once in power they continue to take money from wealthy people and groups who have particular political agendas. There are rules about how much and what the money is spent on, but these are easily circumvented by creative lawmakers and lobbyists who want their votes. Politicians regularly take exotic trips, go to sporting events, funnel money to friends and family members, and use their legislative power to help those who provide this largess. The same politicians argue that they still vote their conscience, that they don’t let such influence peddling effect their decisions. That these vacations are valuable cultural exchanges. If you believe this, if you spew this nonsense yourself, then I have nothing to say to you. You might as well stop reading now. We’ve long since passed the point where anyone cared about avoiding the appearance of impropriety. The entire system appears improper. The entire system is improper. It’s so ingrained, so institutionalized, that there is no possible way for a Democrat or Republican to get elected without being the beneficiary of such gifts. If they refuse they magically lose their funding, the support of their national party, and any chance of being elected. The only candidates to vote for are those already corrupted. Any politician who goes into it with idealistic dreams doesn’t last long. Only jaded, corrupt, bad characters need apply. When we “toss out” a corporate bought Republican we get a union bought Democrat. No progress there. Big money wins. Big business, big farms, big unions win. Small business, small farms, small people lose. There is a solution. Anyone who reads my blog with regularity knows it. Vote Independent. Vote Libertarian. Even if Independent candidates don’t win elections; enough votes can stem the tide. If Independent candidates get enough votes the Democrats and Republicans will take note. Candidates with integrity, who care about their district, their state, their country will start winning primaries. Don’t believe me? Keep voting for Democrats or Republicans. See what happens. The appearance of impropriety? Ha. It’s not exactly an earth-shattering admission but the CIA has finally released documents admitting they were largely responsible for the overthrow of Iranian Prime Minister Mohammad Mosaddeq in 1953. You’re probably wondering why that is such a big deal. 1953 was 60 years ago and wouldn’t seem to have much to do with the world today. I think it is a big deal and there is a large segment of people in the United States who want to make a similar mistake today. In 1953 Iran was, as they are today, oil rich. The oil companies were largely owned by British interests. Mosaddeq was elected democratically but was unhappy with the fact that British oil companies were getting the vast majority of the revenue. The British Anglo-Iranian Oil Company (BAIOC) offered Saudi Arabia a 50/50 split of revenue but refused to go even this far with Iran. The government before Mosaddeq toed the line claiming the Iranians weren’t capable of managing the operation. 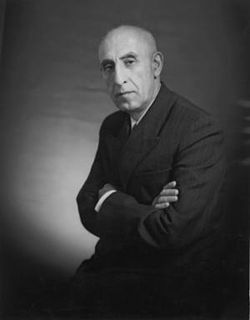 The prime minister was assassinated and Mosaddeq came to power; appointed by the Shah of Iran to appease the people who saw the oil being pumped out of their ground and all the profits from this operation going to England. Mosaddeq immediately nationalized the oil industry although promised to pay fair compensation from the revenue generated. Royalist Iranians protested this move as Mosaddeq was largely a populist. There was much internal turmoil. Mosaddeq emerged victorious although the British then waged a war of economic ruin on Iran. President Truman opposed the British “rule or ruin” policies but President Eisenhower thought differently. He was worried that Mosaddeq, a fervent anti-socialist, would turn to the Soviet Union for help. He ordered the orchestration of a coup. CIA operatives paid tribesmen to riot, pretended to be communists and socialist and threatened enemies of Mosaddeq in a clever ruse to make them even more angry at the prime minister. Mosaddeq was removed from power and arrested. He died four years later still under house arrest. The Shah of Iran then came back into power and was eventually overthrown himself in the 1979 popular revolution. Is it any wonder the people of Iran were so upset with the United States and England? Imagine foreign operatives roaming the streets of St. Louis paying people to have riots. When we behave in this fashion we make enemies. When we think we know better how to rule a nation than the people themselves; we go against everything for which our Declaration of Independence and our Constitution stand. Nations must be free to make their own mistakes. We spend billions of dollars trying to influence nations so we can have military bases, so we can dig up precious resources, so we can put into power those we deem satisfactory. And the world hates us for it. Iranians hate us for it and their money has spread that hatred everywhere in the world. If only we had looked past the possibility of Iranian oil money, of the Red Scare. If only we had heeded the spirit of George Washington, John Adams, Thomas Jefferson, and the rest of the Founding Fathers. We didn’t and we are paying the price today. Why is this important now? Egypt. The people of Egypt overthrew their government and elected a rather nasty lot, the Muslim Brotherhood. That’s their business. The Muslim Brotherhood engaged in some shady practices and the military led a coup against them. In Congress there is a debate about cutting off foreign aid. Using that aid as a bargaining chip to try to further influence the nation and people of Egypt. We have to stop. Any gain in the short-term is paid for with blood in the long-term. Freedom is the best form of government in the world. A Representative Republic is as good as it going to get. If we cherish our freedom enough to let other people have theirs they will eventually come to us. Join us. The way forward in Egypt is clear to me. The Muslim Brother, as nasty as they might be, were elected fairly. When we support a fairly elected government, particularly when it is opposed to our agenda in the region, we make friends. We turn enemies into allies. We make the world a better place. We must start believing in freedom again. Nowadays we believe in safety. Keep me safe even if it means taking away my freedom and particularly if it means taking away the freedom of other people. Freedom is free, it’s just not safe. Let’s be brave again. When the Supreme Court ruled that Political Action Committees could collect unlimited amounts of money from anyone to support political campaigns most people thought it corrupted politics. The same thing is destroying business in the United States turning us, some would say has already turned us, away from capitalism and onto Crony Capitalism. Perhaps even past Crony Capitalism to what’s called commercial bribery. 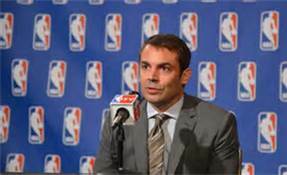 In a recent case a fellow named Chris Hansen attempted to purchase the Sacramento Kings NBA team and move them to Seattle. This deal did not succeed for a number of reasons but that’s not the point of my blog today. The Sacramento Kings were instead sold to another bidder but there was a timetable laid out by the NBA that the Kings had to have a new arena in time for the 2016 season. The new owners immediately began to seek funding for this new stadium. There were some opposed to building this stadium and Hansen realized that if they succeeded in blocking funding he might again have a chance to purchase the team. His interest in the stadium case is clearly a conflict of interest. Hansen stands to gain by stopping the stadium purchase. Therefore he should stay out of contact with those parties. This would be fair business practice. This is something honorable business owners did quite regularly in the past. Hansen knew that it was a conflict of interest and so gave money to a third-party who then donated it to the PAC responsible for spending money to try to stop the stadium. The state of California has strict rules about disclosure when it comes to a PAC. Those organizations must reveal donor names. In this case the time frame for disclosure passed and his name was not revealed. A watchdog group insisted on seeing the records and Hansen’s role was revealed. Only after this did he suddenly regret his decision and apologize. His third-party donation could be illegal and the courts will eventually determine that, but my point is that this sort of thing goes on all the time. This is the way a business succeeds in the modern-day United States. If you don’t sabotage your competition through commercial bribery or crony capitalistic government intervention they will destroy you first. A business succeed not by providing a better product but by being better at destroying rivals through underhanded methods. Thus the company that is most unscrupulous wins. That’s not a good formula for consumers and it’s dangerous to our freedom. This trickles up to politicians and community leaders who side with the “winning” business in order to maintain their own position. We live in the information age. Donations to a PAC can be almost instantly revealed via something as simple as a tweet. I’m not saying people don’t have the right to give to a cause of their choice I’m just saying this donation must be transparent and that conflict of interest laws must be enforced. Do you think Hansen would have made that “mistake” if the law mandated that the amount and origin of money received must be posted immediately to some online forum? These sorts of laws don’t erode our freedom, they enhance it. If a politician succeeds because of ideas, if a business succeeds because it is properly run, then we all win. 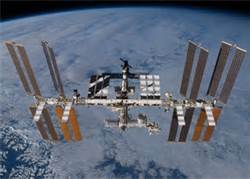 We are now seven years from the likely end of the International Space Station or ISS. Not everyone is going to agree with me on this one and there are a lot of people out there hoping to extend the mission past 2020. There are many passionate people on both sides of this debate and I’m open to listening to other opinions. But as things stand, I think of the ISS as a colossal waste of time, effort, and money. That’s not even the worst of it. It’s sucked in so much money and effort that other NASA missions were scrubbed for lack of funding. In addition to producing almost nothing in the way of useful information it has also prevented us from learning so many other things. Now, I’m sure people will look at the list of what I call “nothing” and tell me how wrong I am. I think that until we actually need to grow tomatoes in space it is not really worth studying growing tomatoes in space. The effect of radiation on people is well-known, it is deadly. Any space travel will require shielding from radiation. Zero gravity is dangerous for human organs and skeletal structure. How much testing of this do we need and what benefit does it give us? When this thing was proposed it was promised as a laboratory, observatory, and factory in space. It was also planned to provide transportation, maintenance, and act as a staging base for possible future missions to the Moon, Mars and asteroids. It’s been at most a glorified lab. In the Yahoo article a proponent of continuing the ISS through 2028 says: We don’t know whether we should care, because the utilization [of the ISS] is really still in its early stages. The station hasn’t had a valid chance to demonstrate its research value. He supposes that perhaps, maybe, in the next four or five years there might be a breakthrough to justify the cost of the thing. Hasn’t had a chance? It’s been in continuous orbit for nearly thirteen years and currently the cost is about $150 billion and going up fast. The price of this thing is shared between the US, Russia, Japan, Canada, and Europe (11 partners). Everyone else is backing out as fast as their obligations let them, or faster. Meanwhile robotic missions continue apace exploring our solar system and giving us real and useful information. Robotic missions are far cheaper, last longer, produce more results, and do not risk the loss of life. Don’t get me wrong. I’m all for exploration of space, of the mission of NASA, and of the long-term prospects of colonizing our solar system. I’m just firmly convinced that the best way to achieve those things is with long-term, robotic, exploration missions. I think we already know pretty much what we need to know about low-earth orbit. Every tax dollar that goes into low-earth orbit exploration competes against private organizations attempting this sort of mission. NASA should be doing things that private industry cannot achieve. Meanwhile the James Webb Telescope sits doing nothing. It’s total funding capped at $8 billion in no small part because of the ISS. I’m not saying the JWT wasn’t a badly managed project, I’m just saying let’s not pour another $100 billion into the ISS to keep it operational through 2028. Let’s not throw good money after bad. If I had my way I’d bring back the current residents and shut the ISS down today. I’d like to hear from those who disagree. I saw a story today that showed the Ford Focus automobile is now the best-selling car in the world. The company has had a long and tumultuous history that I think is quite instructive in the ways of capitalism and the ideas of libertarians. The company was founded in 1903 by Henry Ford and twelve investors including Alexander Y. Malcomson as an equal partner. 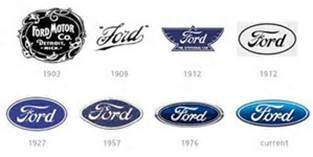 Ford was antisemitic. His newspaper, the Dearborn Independent, published false information called The Protocols of the Elders in Zion which is used by those who hate Jews to this day. He was praised by Adolph Hitler and given medals of honor by the Nazi Government. He was just as virulently anti-union and in 1941 almost closed his entire company rather than unionize, only being convinced by his wife not to do it. In the early years the Ford company had a Social Department which actively checked up on workers personal habits including those Ford himself found distasteful: drinking, gambling, and fathers who did not support their families. By 1918 almost 50% of all cars sold in the United States were Model T vehicles, what would almost certainly be considered a monopoly today. The company appeared near bankruptcy in 2008 and applied for government loans to stay in operation. So, we know Ford was an anti-Semite, overly involved in the personal lives of his employees, anti-union, essentially ran a monopoly, and the company ran to the government to bail them out from their self-induced financial problems. Now, let’s look at his business practices. While Ford personally disliked Jews his newspaper disavowed violence and he was never charged with discriminating against Jews. He also hired blacks and the physically disabled which was extremely rare at that time for a major US corporation. He was anti-union because he thought union leaders, although meaning well, would end up harming workers more than helping them. He thought a good manager did right by workers because it improved profit margins. He practiced what he preached offering high wages and limited working hours. Despite the fact that by 1918 he had a virtual monopoly on car sales his high wages and low working hours had decreased turnover and increased productivity to a point that he continually lowered prices on his vehicles! He never engaged in monopolistic practices like Gouging, Collusion and Cartels. When competition arose it often did so by following his labor friendly practices. Competition did arise organically and consumers and workers benefited tremendously. He never went to the government asking them to pass laws to help his company and destroy competitors. He ran for office in 1918 at the behest of Democrat Woodrow Wilson in order to support the League of Nations. Ford was a strong pacifist and felt war was a tremendous waste of time and effort. Ford insisted that war was the product of greedy financiers who sought profit in human destruction and that true capitalist brought prosperity to their nations. Be aware that when Ford used the word financiers, he meant Jews. I find disgusting his assessment that this was some Jewish led conspiracy but the idea that war and misery is profitable for a certain kind of person is absolutely true. He believed true capitalist disavow war and help improve the lives of everyone by driving down the cost of goods and increasing the quality of life for employees. That the pursuit of riches is not the point although those who run a business properly bring prosperity to all around them. In 2008 when the other US car companies went to the government and took money from them, Ford instead sat down with their unions and hammered out an equitable arrangements. Credit goes to both Ford and the unions. Now the company is thriving to benefit of all parties. I can’t help wonder what he would think today about the Crony Capitalism that has descended on this country. The men and women of all races, creeds, and colors who fit his profile of financier. Ford’s antisemitism leaves a lasting legacy to this day but so do his fair-minded business practices. His goal was to a run a company that employed people at a good wage, sold a product people wanted at a fair price, and make the world a better place. He got rich doing it. A lesson for us all about both business and the folly of unreasoning hatred. 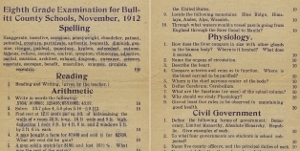 1912 8th Grade Exam – Difficult? There’s an interesting story in the news today about an 8th grade exam given to students in 1912 Kentucky. The questions are of the sort that anyone who hasn’t been studying recently would find difficult. 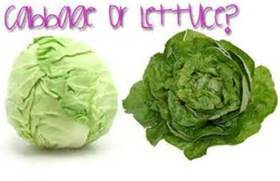 Judging by the comments that dominate the story it appears that most people think these questions are significantly more difficult than those faced by 8th graders today. I’m not an 8th grade teacher but I thought the questions were somewhat below what I’d expect to see on an exam given to children of that age today. I base this on my various nieces and friend’s children who I’ve helped study over the years. I may be completely wrong and I’d love to hear from some teachers on the subject. A man bought a farm for $2,400 and sold it for $2,700. What was his percentage gain? What waters would a vessel pass through if traveling from England, through the Suez Canal, to Manila? Name the organs of circulation? To what four governments are students in school subject to? None of those seems like it would present much challenge to a student who had been studying such material. Perhaps I’m totally wrong, perhaps these question are much more difficult than those faced by 8th graders today. That is certainly the overwhelming opinion of those making comments. The main difference that I noted is the lack of multiple choice questions and I’m of the opinion that this is actually an important distinction. In the past students were expected to be able to write out complete answers rather than pick answers. Picking answers means that most people will be correct 25% of the time even if they have no clue as to the answer. 25% isn’t a good score but in the past the same students would be correct 0% of the time. The change to largely multiple choice questions is simply a function of classroom size. Teachers are expected to grade hundreds of quizzes and tests weekly and this is a heavy, heavy burden. I’m of the opinion that this trend can be reversed by automatic grading using tablets and computers. No more handwriting. Computers are getting intelligent enough to recognize partially correct answers and grade accordingly. However, back to the topic at hand. I really don’t see these questions as anything that would be a great challenge to today’s students; except perhaps the geography which I don’t think is taught as heavily in today’s classrooms. I could be wrong about that as well. 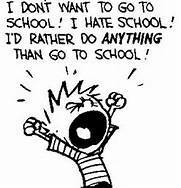 In any case, I’d absolutely love to hear from parents of 8th graders, teachers, and other who have more direct knowledge of the current educational system for students of that age. Against a Cure for Down Syndrome? I just read an absolutely fascinating article about health care and Down Syndrome. Scientists are moving ever closer to being able to turn off the effects of the extra third copy of chromosome 21. Eventually they might even be able to prevent the disease altogether. The new therapy promises to alleviate or eliminate some of the symptoms of the syndrome by switching off the genetic material responsible. If Down syndrome were completely cured, the world would lose something from the absence of that culture. In other words, we don’t want a cure. I understand that relatives of people with the disease are worried that their loved ones will be forever changed by a cure. That the cure might turn off other genetic functions and come with its own peril. Particularly in the early years. However, the reality is that someone with Down Syndrome is limited in their life’s potential. Their life is radically diminished from what it could be. Maybe they are happy but they cannot experience life fully. With modern therapy and understanding they have things better than throughout history but their intelligence is limited and their lifespan shortened. They often suffer from awful diseases. I have friends with a Down Syndrome child and I’m eager to hear what they think about the possibility of a cure. My friend is a big, strong, athletic guy and his son will never be that. I know for a fact that they love him just as much their daughter who does not have the disease. When I read these quotes from parents who do not want a cure, fear a cure, I certainly understand. They love their child the way they are. They fear that their child, if cured, could be forever changed, will have to suffer the trials of a full life. Ignorance is bliss as they say. But it’s bliss with a price. A heavy price, too heavy a price. Given a choice between going through life mentally challenged and happy or less happy but with a greater capacity to understand the good and bad that the world offers; which would you choose? It’s like not playing the game because you might lose. As for me, I’d rather play than sit on the sidelines. Yes, I might well lose, but the experience of life is worth it. I think everyone should have that chance. Everyone should be given the opportunity to live their life to the fullest. Maybe they will be unhappy and miserable, but maybe not. I’m for a cure but I don’t have a Down Syndrome child. I do have a mentally challenged niece and if there was a way to cure her I would absolutely be for it. It seems to be a week for media personalities butting heads with sports personalities here in St. Louis. 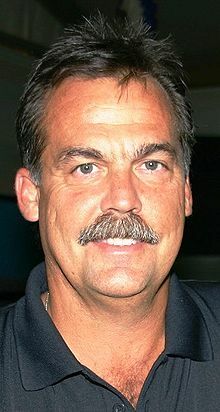 I’ve been writing about the Jack Clark/Albert Pujols situation but now we have the Bernie Kosar/Jeff Fisher brouhaha. Fisher is the head coach of the St. Louis Rams and Kosar is the color commentator for the Cleveland Browns. The two teams played a preseason game this year and Kosar made some comments during the game that apparently caught the attention of Fisher. Kosar was a standout football player for the University of Miami and then the Browns. Fisher is a well-respected and moderately successful NFL coach. Both men should do their job with professionalism, as should we all. Kosar’s criticism of the Rams play in the game centered on two things; the receivers dropping well-thrown balls and the third-string quarterback, Kellen Clemens. I didn’t hear the broadcast so I can only go by the quotes I’m reading. Apparently Rams receivers dropped a number of passes and Kosar said that their mothers would be embarrassed. He also made a comment about the receiver coach. That doesn’t seem to be what drew the ire of Fisher as much as what happened next. Apparently Kosar has a bad history with Clemens. Before Clemens came into the game Kosar said that he, Kosar, was essentially being punished because he didn’t like Clemens. It’s not really clear what he was trying to say because it doesn’t make a lot of sense. It is clear he doesn’t like Clemens personally. He took a couple of more shots at the quarterback, that had nothing to do with his play on the field, saying he wouldn’t want his autograph and that Kosar needed divine intervention because he had to watch Clemens for the fourth quarter of the game. It doesn’t help that Kosar is suffering from chronic traumatic encephalopathy which make his speech patterns slurred as if drunk. Still, I have to question Kosar’s professionalism in letting his personal feelings interfere with his work. He said nasty things about Clemens not only before he was in the game but admitted that the problems were personal in nature. That’s extremely unprofessional. At my job I do web development work and we do this for a number of clients. One of these is a Christian organization. I’m an atheist. I would never let that influence me in doing my job properly, in helping make the best website possible without any cost overruns. Nor would I publicly criticize the people I’ve met from that organization. I actually like them! They are quite nice and I’ve really enjoyed working on their site. When we let our personal feelings for a person or an organization prevent us from doing our job fairly, as best we can, then we are unprofessional. It is a reflection on us, on me. But, back to the situation at hand. A number of people are saying that Fisher should just ignore Kosar. I disagree, when someone is unprofessional they should be called out as such. Otherwise how will they know? I don’t think Fisher will dwell on this and it will go away rather quickly; but I think he is right to lose respect for Kosar. I certainly did. As a head coach it’s part of Fisher’s professional responsibility to stand up for his players. All coaches who care for their players, and all the good ones do, would do the same. Fisher went out of his way to mention that he has great respect for the Browns’ organization but had a problem with the way Kosar went about doing his job. Finally as to the Browns themselves. I feel for Kosar, he’s suffering from a terrible brain problem caused by sacrificing his body for the Browns. I can totally understand how they want to employ Kosar. It just seems a little odd to me that you would employ a man who has a difficult time communicating as a commentator. Apparently he is extremely intelligent and knows football very well but has trouble speaking, stringing together coherent sentences. Maybe we’ll see some good out of this. Kosar will try to be more professional, Fisher and he will make up and that will be that. We can only hope! Golf – Sport or Game? What is a sport and what is a game? I’m watching the live stream of the 2013 PGA Championship, that’s golf for all you non-golf fans, and they are having a vigorous discussion about that very topic. The Wiki article is pretty broad and comes to no conclusions on the matter. It’s an interesting question and there is a lot of debate about physicality, the presence or absence of certain pieces of equipment, the method of winning, and other factors. I first thought about this years ago and came up with a definition that I find works quite well for me. Let me cover one of the main ideas before offering my own solution. A lot of people claim there must be a physically demanding aspect to the endeavor for it to be a sport. Thus baseball is a sport but chess is a game. My problem with this definition is that baseball is unilaterally ruled a sport. When a dozen kids play a pickup game in the park, like that happens anymore, then it is sport. I disagree. That’s a game of baseball. When major league players vie on the field of play, I consider that a sport. I think two requirements must be met for it to be a sport. There is a quantifiable winner. There are three possible permutations of those rules which result in Sport, Game, and Spectacle. Thus I think golf can be a game or sport depending on the circumstances surrounding the event. The paying crowd at the PGA Championship along with the fact that a winner is determined by quantifiable methods make it a sport. When the guys and I head to Ruth Park for a quick nine after a day of work, it’s a game. This is a relatively broad definition and makes the upcoming World Chess Championship a sport even though there is a lack of physicality to chess. That being said, I’m happy with my definition. Tell me where I went wrong! The Albert Pujols – Jack Clark story continues to get bigger here in St. Louis and the sporting world. One thing I see from a lot of people making comments is the difference in Albert’s body and head since he was younger. I found a picture of him when he was playing baseball as a younger man and a recent picture taken from about the same angle at the same distance. I’m from St. Louis, Missouri and a huge sports fan. Yes, that means I barrack (Australian for root) for the Cardinals. There is a moderately big story in Cardinal-land today. Jack Clark recently mentioned on his radio show that Albert Pujols used steroids. Clark claims he knows this because Pujols trainer told him so thirteen years ago. The trainer denies this conversation took place. Clark is a former player who came to the Cardinals late in his career and helped the team to two World Series appearances in 1985 and 1987. He retired in 1992. 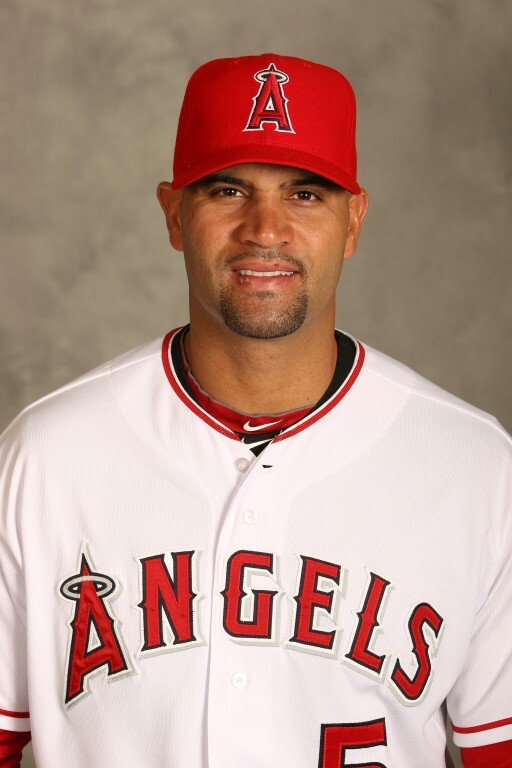 Pujols was the star player for the Cardinals from 2001 to 2011 after which he signed a large contract with the Los Angeles Angels. I’ve mentioned my belief that most players are using Performance Enhancing Drugs (PEDs) in a number of blogs. I would not be at all surprised to find that Pujols was among those doing so. That being said, Clark’s story raises a number of red flags in my mind. Clark claims Pujols’ trainer, Chris Mihlfeld, and he worked together in 2000 and that Mihlfeld asked Clark if he wanted to use steroids. According to Clark, Mihlfeld at that time told him that Pujols was using them. My first red-flag is that Clark had been retired for eight years and was forty-four years old at that time. It’s certainly possible Mihlfeld was just looking for a new customer but it seems odd to ask a player retired that long if they wanted to use steroids. 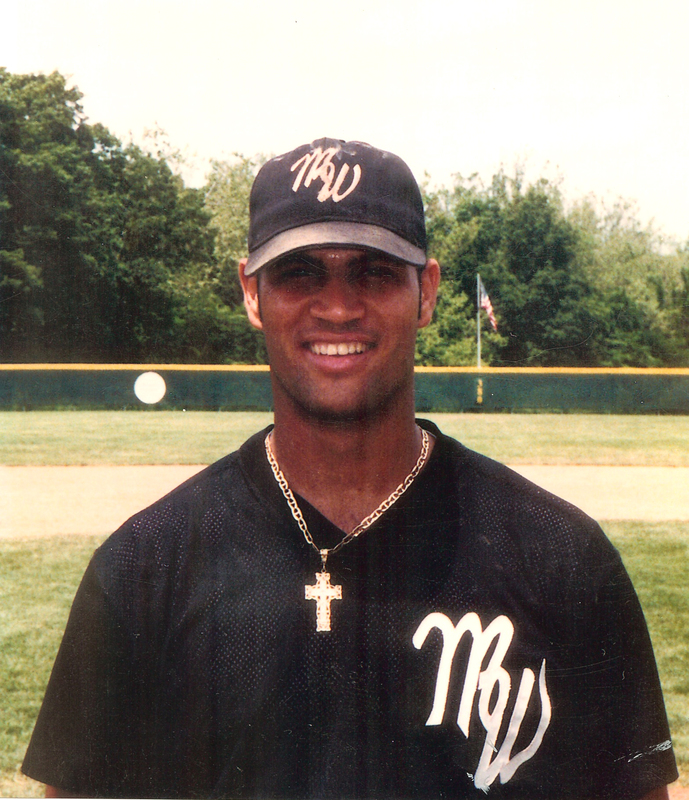 Pujols was a minor league player that year. My second red-flag is that Clark waited for thirteen years to reveal this information. He says, “I really never thought too much about it because steroids were really not on my radar screen at that time.” Possibly true, but five years later in 2005 Jose Canseco wrote his tell-all book, Juiced. Pretty much from that moment forward PEDs have been on everyone’s radar. For the last eight years Clark has been keeping this conversation secret. That just seems very odd to me. Particular so because in 2010 Clark had strong words for Mark McGwire, Alex Rodriguez, Rafael Palmiero, Roger Clemons, Barry Bonds, and Sammy Sosa. Not a word about Pujols, the reigning MVP in the National League. My third red-flag is that Clark recently became host of his own radio talk show and when it comes to radio talk shows; outrageous statements that get you noticed are almost a requirement for success. My fourth red-flag is that Clark also accused pitcher Jason Verlander of PED use based on the “evidence” that Verlander lost velocity on his fastball after signing a big contract. On the other side, Mihlfeld did work with a pitcher named Jason Grimley who admitted to steroid use. Mihlfeld was thought to be part of that case and but this proved to be false. As to Clark’s character there isn’t a lot good to say. He said some awful things about Tony Gwynn in 1990. He likewise said terrible things about San Diego Padre manager Greg Riddoch. 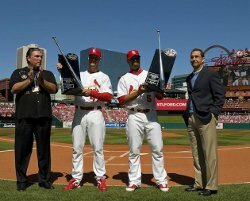 I’m certainly not saying Pujols didn’t use steroids, I’m just saying Clark is not a trustworthy source of information. As much as I think most of the players are using PEDs; I don’t think it’s right to call them guilty without evidence. To let hearsay destroy a career. To my mind, there is no way Clark could have gone thirteen years without mentioning this to people. PEDs have been big news for a long time. I’d like to see if anyone comes forward confirm that Clark has told this story before. If not, I think it’s pretty scummy of Clark to make such an accusation to promote his radio show. I was astonished to read the headlines that the Obama administration essentially voided a trade panel ruling in the ongoing Apple/Samsung patent wars. Without even reading the stories my immediate reaction was the administration overstepped the separation of powers but I’m learning more and more about this case and my opinion is evolving. The Essential Patent or Standard Essential Patent is a patent different from non-standard patents. It sounds more complicated than it is. Let’s say I invent a device that makes walking easier, the Easy-Walk. This is a non-standard patent and other people cannot produce anything that is too similar to the Easy-Walk. On the other hand there are technical standards that everyone who creates particular device follows so that consumers have a standardized product. Plumbing pipes are a certain size for the kitchen as an example. The owner of such a patent is generally required to sell licenses rather than keep the technology for themselves. Otherwise an entire industry, and consumers, suffer. Most countries do not enforce patent claims on Standard Essential Patents although Germany is an exception which is why much of the litigation between Samsung and Apple is taking place in that country. The ongoing dispute between these two technology companies has descended largely into trying to enforce Essential Standard Patents to prevent a rival from selling their technology. If these sorts of lawsuits are allowed to continue there will undoubtedly be a negative effect on the consumer electronic industry which could easily spread to other industries. The injunction the Obama administration voided was of this kind. Samsung has a patent on an Essential Standard which Apple used in some of their older models. 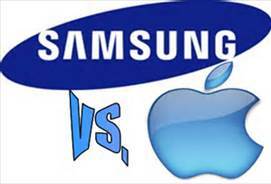 Samsung insisted that Apple should not be allowed to sell them. The Obama administration decided that this pattern of abuse with Essential Standard patents needed to stop. They stepped in with the hopes that the action will discourage others from filing similar claims. These injunctions represent a real threat to capitalism and, in a way, freedom. If a large company is allowed to enforce Essential Standard Patents then it inhibits, in a significant way, the ability of others to compete in a free and open market. Companies are attempting to destroy each other in the courts rather than making a superior product. I’m not completely convinced the Obama administration did the right thing in this case but I’m leaning in that direction. Normally I would suggest that the courts impose fines for lawsuits of this nature but the fines are minuscule compared to the loss an injunction against sales causes. Fines are essentially useless in this fight. If these sorts of lawsuits stop because of the action then it was the right thing to do. If the suits continue then another remedy must be found. Still, I learned a lot about this because rather than just leaping to a conclusion I stopped and learned more. Always a good thing.